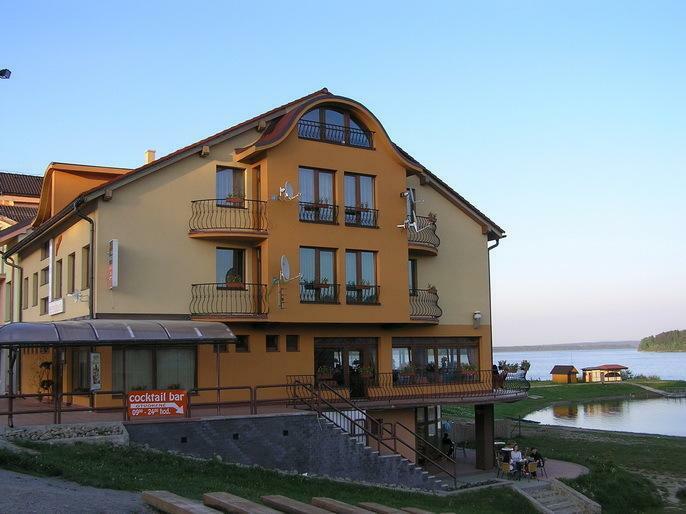 Located in Námestovo, 10 m from Oravska Priehrada Dam Lake, Penzion Jollien houses a restaurant with an outdoor terrace and a beach view and a cocktail bar. It also offers free WiFi in all areas and free private parking. The Jollien provides direct access to the public beach. The units at the property all offer a private bathroom and a fridge and some also feature a balcony. Guests at the Penzion Jollien can enjoy various water sports activities on the lake. The Orava Snow Ski Centre can be reached within 25 km and the Oravskej Dediny Museum in Zuberec is a 15-minute drive away. Located directly on the beach of Orava Reservoir in Namestovo, Penzion Modul provides an equipped accommodation with a terrace, a garden, a children’s playground and barbecue facilities. Free WiFi is available. Situated by the Orava Water Dam and only a 5-minute walk from the Námestovo town centre, Penzión Oravia offers accommodation with a restaurant, a bar, a terrace and views to the dam. Free WiFi is available in all areas and free private parking is available on site. Featuring a horse ranch and a private port, the family-friendly Hotel Ranč u Edyho is only 100 m from the Orava Reservoir. You can find a rustic-style restaurant with a terrace serving Slovak cuisine on site. The facilities include an outdoor pool, tennis courts and a children’s playground. Set in Námestovo, Hotel Slanica features free bikes, terrace and bar. With free WiFi, this 2-star hotel offers ski storage space. The property has a restaurant and Orava Dam is 2.4 km away. Set in Námestovo, Slanický Dvor offers a seasonal outdoor swimming pool and free WiFi. The property is situated 4.1 km from Orava Dam. The property provides a children's playground. Zbojnícka Koliba offers pleasant lodging in comfortably furnished rooms.